More information about state boarding schools can be obtained from the State Boarding Schools’ Association . If you’re unable to get your child accepted by a state-aided nursery school, you must pay for him to attend a private pre-school playgroup. These usually cost from £2.50 to £4 a session. Many playgroups accept children from age two, but stipulate that they must be toilet trained. Informal play facilities are provided by private nursery schools and playgroups, or may be organised by parents and voluntary bodies such as the Pre-School Learning Alliance (www.pre-school.org.uk ), which provides places for some 800,000 under fives. To find out where the nursery schools and playgroups are in your area, get in touch with Childcare Link (0800–096 0296). Middle schools - Although regarded as secondary schools, middle schools take children aged 8 or 9 who move on to senior comprehensive schools at 12 or 14. 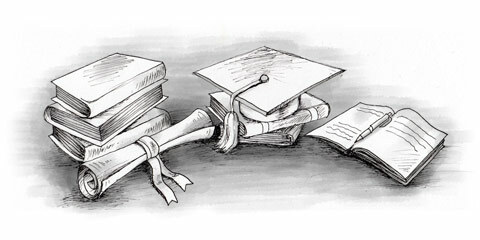 Comprehensive Schools – Admission is made without reference to ability or aptitude. Comprehensive schools provide a full range of courses for all levels of ability, from first to sixth year (from ages 11 to 18, although some cater for 11 to 16-year-olds only) and usually take students from the local catchment area. In some counties, all secondary schools are comprehensive. Secondary Modern Schools – Provide a general education with a practical bias for 11 to 16-year-olds who fail to gain acceptance at a grammar or high school. Like comprehensive schools, secondary modern schools cater for students from the local area. Secondary Intermediate – Northern Ireland only. Equivalent to a comprehensive school. Secondary Grammar Schools – Have a selective intake and provide an academic course for pupils aged from 11 to 16 or 18 years. Academies - these are state schools funded directly by central government. They offer provision for any or several age ranges and accommodate for special needs. High Schools – Are provided in some areas for those who pass their 11-plus exam, but aren’t accepted at a grammar school. Sixth Form Colleges – Schools where 16-year-olds (e.g. from secondary modern schools) study for two years for GCE A-levels. It also takes students from comprehensive schools catering for 11 to 16-year-olds. Technical Schools – Provide an integrated vocational education (academic and technical) for students aged from 14 to 18. Schools take part in the Technical and Vocational Education Institute (TVEI) scheme, funded by the Manpower Services Commission (MSC). City Technology Colleges – Specialise in technological and scientific courses for children aged 11 to 18 (see below). City Technology Colleges are usually located in deprived parts of the UK. There’s no legal obligation for parents in the UK to send their children to school, and they may educate them themselves or employ private tutors. This can be referred to as ‘home schooling’, but the legal term in England is ‘education otherwise than at school’. Parents educating their children at home don’t require a teaching qualification, although they must satisfy the local education authority in that the child is receiving full-time education appropriate to his or her age, abilities and aptitudes (they check and may test your child). Expat parents considering this possibility are advised to consult organisations such as ‘Education Otherwise ’ for information about this option and its implications. The weekly Times Educational Supplement and Scottish Education Supplement (available from newsagents) contain up-to-the-minute news and opinions about education and schools in the UK, including management, governors, research and teaching posts. There are numerous books for parents faced with choosing a suitable state or private school, including the Daily Telegraph Schools Guide and the Good Schools Guide, both by John Clare. You can also consult an independent adviser such as Gabbitas Educational Consultants Ltd (126-130 Regent Street, London W1R 6EE, 020-7734 0161, www.gabbitas.co.uk ), who can provide advice and information on any aspect of education in the UK. There are many education-related Internet sites, including Education UK (www.educationuk.org ), the BBC (www.bbc.co.uk/learning ) and Edubase (www.edubase.gov.uk ). An invaluable organisation for overseas students is the UK Council for Overseas Student Affairs (UKCOSA, 9-17 St Alban’s Place, London N1 0NX, 020-7288 4330, www.ukcisa.org.uk ), which is a registered charity established in 1968 to promote the interests and meet the needs of overseas students in the UK and those working with them as teachers, advisors or in other capacities. The British Council (which has offices in around 80 countries) provides foreign students with information concerning all aspects of education in the UK. In addition to a detailed look at state and private education, this section also contains information about higher and further education and language schools.